FairForest Metrics is available for free and are published under the Creative Commons license CC BY 4.0. You can download the metrics and simply start using those that are relevant to you. For external reports and publications the FairForest Metrics need to be cited. FairForest, Year. (Metric ID) Metric Name. FairForest Version. FairForest, 2014. (152) Community support activities. v.1.0. At the FairForest web page you find more detailed information about the systematic of the FairForest metrics. 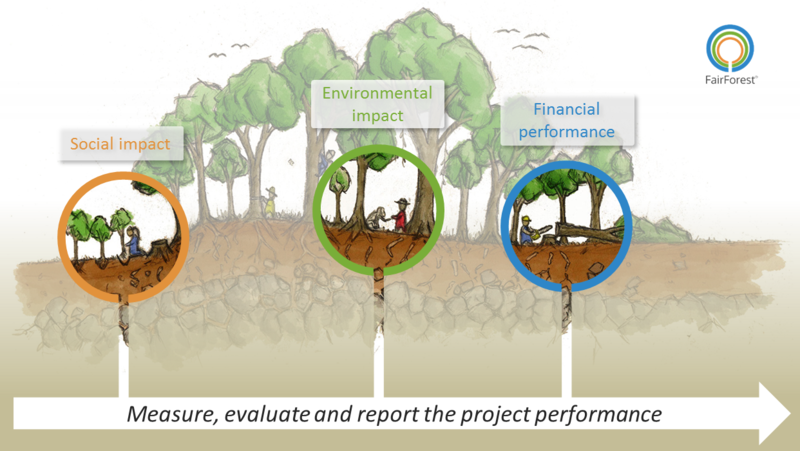 Learn more about how investors, fund mangers and forest project develops are using metrics to measure the performance of sustainable forestry projects: How to measure the performance of forestry projects? The complete version of the FairForest Metrics 1.0, released in 2014.